**125-Milvena Dean Garden-Watts Park South-Southampton. 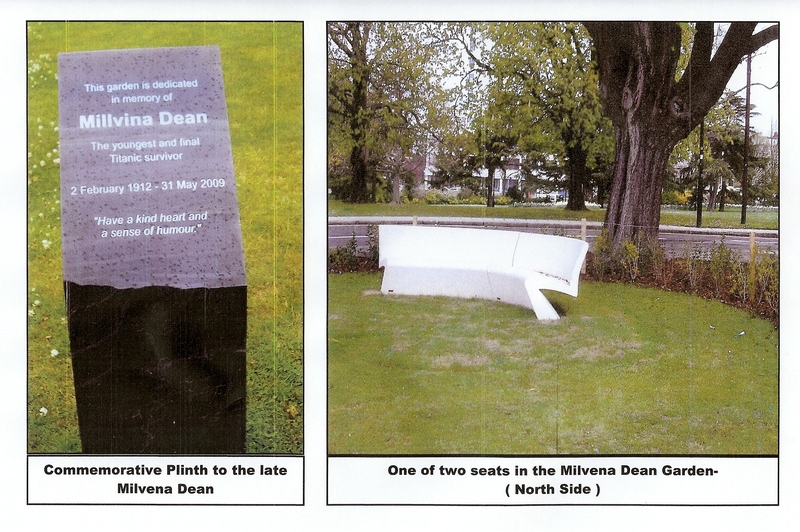 Milvena Dean Garden & commemorative Plaque. The Garden is in the southern extension of Watts Park ( located north of the Sea Museum ). The Park extension created following Watts Park land taken to widen Cumberland Place ). A plaque exists to explain this. The two seats, in cast material, beneath the trees, have very porous surfaces which if graffiti is applied, may be difficult to remove. Likewise bird droppings. The plinth is located north of the path way. The seats accumulate dirt, etc., on the back edges of the seats. Action is necessary to remedy these nuisances. 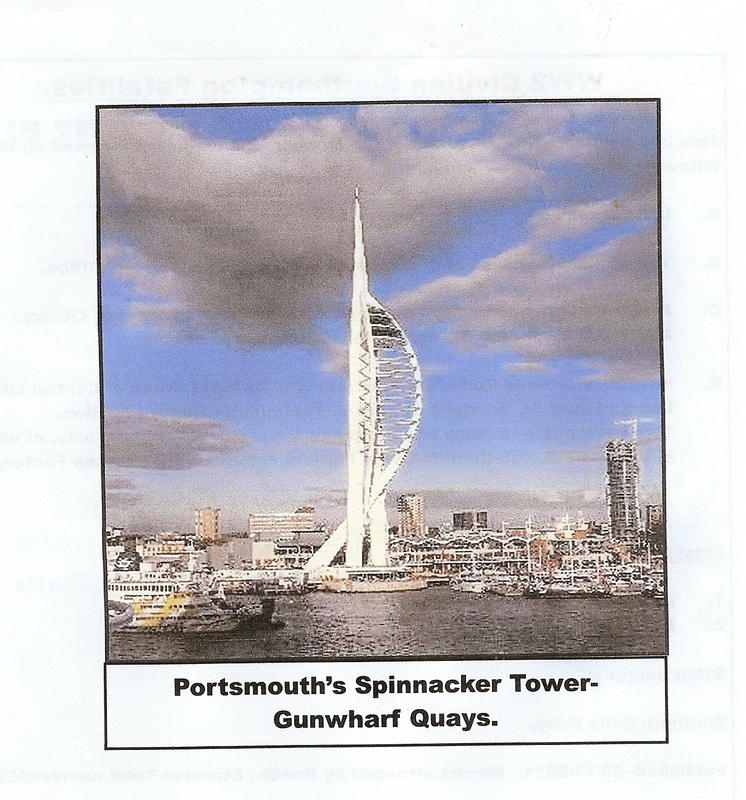 Choice of design shape decided by Portsmouth people. Height 170-metres. opened 18th. October 2005. 600,000 visitors first year.Fees charged for visits. Internal Lift. External Lift failed. 570 steps. Top Floor surface-glass. Built by Mowlem- HEP Architects. Engineering Consultants-Scott-Wilson. Information Wikipedia. No involvement of London’s people in its choice of shape. Site-London’s Olympic Park-Stratford, London. Height-115 metres. 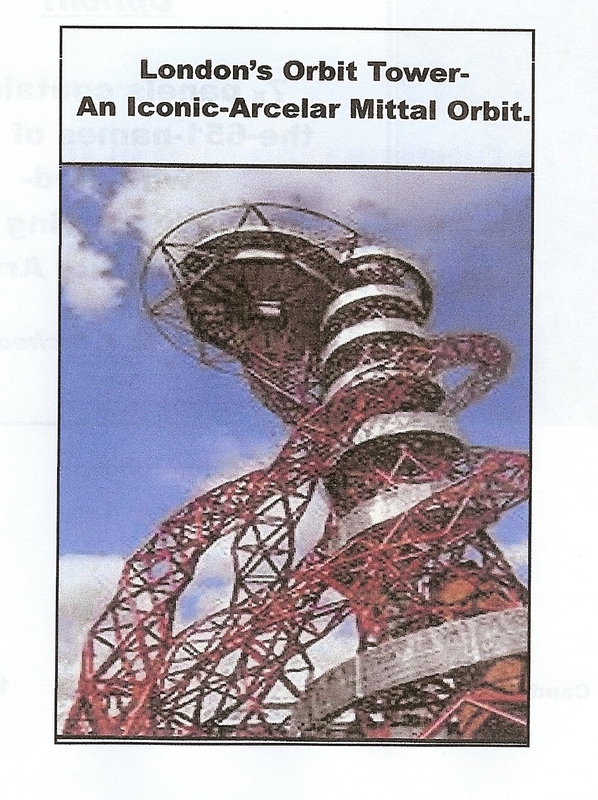 Cost £19 million-donation from Laksmai -Mittal-Steel Magnate including £3,1 million from a London Authority. Design-by Amish Kapoor; Architect-Ushida Findlay. Construction overseen by Cecil Balmond of ARUP.Steelwork by Watson Steel Structures, Ltd. of -Rowan-Severfield, Plc. ( Consideration being given for a 3rd Floor restaurant). Visitors-estimated- 700-per hour. 2 x viewing platforms-capacity 150 each. Admission- £15-adults; £7-children. Rise by internal lift, descend by 455 x steps’ staircase. Comments- ” A drunken party-animal of a building”- Jonathan Jones, ‘The Guardian’-11/5/2011. Questions- Is the tubular steel -work- rust- proof-? future maintenance cost & safety?. Is ugliness a virtue? See also Blog No 124. Information-Wikipedia. WILL THIS BE A LEGACY OF LONDON HOSTING THE OLYMPIC GAMES?